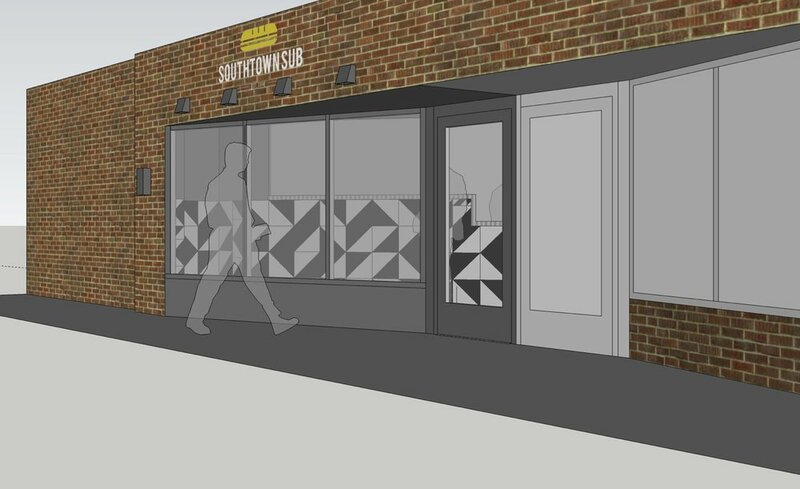 We are excited to announce our future plans for Southtown Sub! We had the opportunity to present our plans at the Gap Community Organization meeting last night and received great feedback for our lobby renovation, storefront upgrade, and youth and community engagement events. We look forward to working with Latent Design to remodel our space! Southtown Sub began with the simple mission to serve delicious food to our patrons. Since then, our vision has expanded. We are no longer just another restaurant to grab a bite to eat. Thanks to our loyal customers, we have become an important thread in the vibrant fabric known as Bronzeville. Southtown Sub resides in an area that is celebrated for its history of famous musicians, political figures, authors, artists, businessmen, groundbreaking newspaper publications, beautiful architecture, and now…its food. Our customers made our famous Gym Shoe sandwich the must-have food to try when visiting Chicago’s south side (according to Thrillist, Zagat, WBEZ, and Windy City Live). We believe our food adds to the rich history and culture of Bronzeville, but our branding, design, and community outreach need to reflect that. Our new vision reflects the modern renaissance of the Black Metropolis that celebrates Bronzeville’s history and welcomes revitalization. The time for businesses to just sell a product to its customers and not play an active role in the fabric of the community is over. It’s time to engage with the neighborhood that made us the business we are today and not just provide delicious food, but also an experience that fosters creativity, encourages youth development, maintains safety and security, and upgrades its establishment to bring ease and comfort to our patrons’ experience at Southtown Sub. In order to transform our vision into a reality, we have outlined a 4-phase plan to help us stay on track. With the support of Alderman Sophia King, The Gap Community Organization, and the Bronzeville community, we truly believe that our small restaurant can add to Bronzeville’s future as a hub for food, culture, art, and entertainment. Send your questions, comments, and feedback to: info@southtownsub.com.